Leena013 welcomes talented young Belgian producer Hermanez to the label and he certainly doesn't arrive quietly! 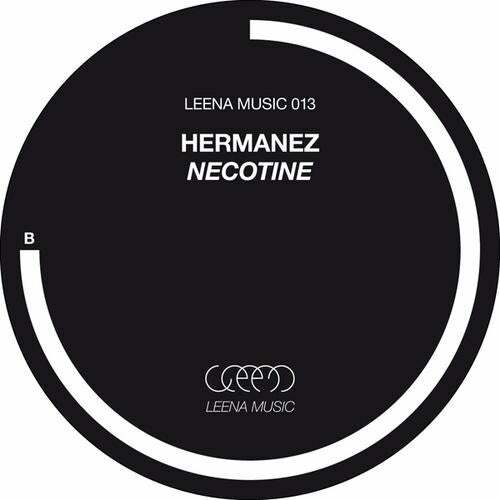 With its punching bass line and bouncing rhythms, a theme that can be found in many of Hermanez's productions, "Necotine" will kick a dormant crowd out of their drifting slumber and into hip-shaking action. Whilst B-side "Soms" initially tricks you into a more reserved intro, the kick drum quickly comes back and with a hint of synth, carrying the energy through. Starting at the young age of 17 to play in local clubs in Limburg, Belgium, Hermanez's profile quickly grew and after winning an important DJ competition in Hasselt, his local fame spread internationally leading to residencies and guest appearances at some of Europe's most prolific venues including Circo Loco and Cafe de Anvers. With his bass heavy and bouncing rhythmic signature sound, it's no surprise that his productions have won support from renowned artists Barem, Gregor Thresher and Sven Väth, whilst his discography includes releases on Paul Ritch's Quartz imprint, as well as Miconn Records and remixes for La Factoria, Microfreak Records and Monique Music. This is a great addition to the Leena catalogue and to DJ's set lists worldwide. Enjoy!